AIRLINERCAFE.COM - Forums - A321-NEO? Can it be done? Forums / 1.0 Airliner Modeling / Airliner Modeling Chat / A321-NEO? Can it be done? Having flown back to the mainland on a beautiful, new Hawaiian A321-NEO last Sunday, I'm wondering if it is possible to model this bird? The decals are available from 8A Decs, but does the new model's engine come in the Zvezda A321 kit? And, if not, is it available on the aftermarket? Oh, and it was a contrast. We flew N581Ha out, a midlife 767 with seats that didn't work and a very late nineties interior. In Maui, as we were about to board the NEO in Kahalui, N594HA, a 32 year old 767 taxied past, scuff marks everywhere, pant faded, no winglets, a really old warhorse making her last flights while N205HA sat there, paint new, looking glossy and young. I kinda wanted to fly N594HA before she goes to the scrapper; she's so old that she won't get a new owner, and she was already retired once and then brought back when the NEOs started having their engine problems. Sorry for waxing on, but frm an avgeek's perspective it was a fun trip. I'm no expert on Neo engines but these might fit the bill. To answer your original question , no the Zvezda A321 does not come with Neo engines. It also doesn't include sharklets which are essential for the Neo. You guys rock, thank you! The Rocast engines are out of stock currently, but I'll keep checking back. They look very nice. Just make sure you�re not looking at the LEAP engine, in N. America that�s Virgin and Frontier. 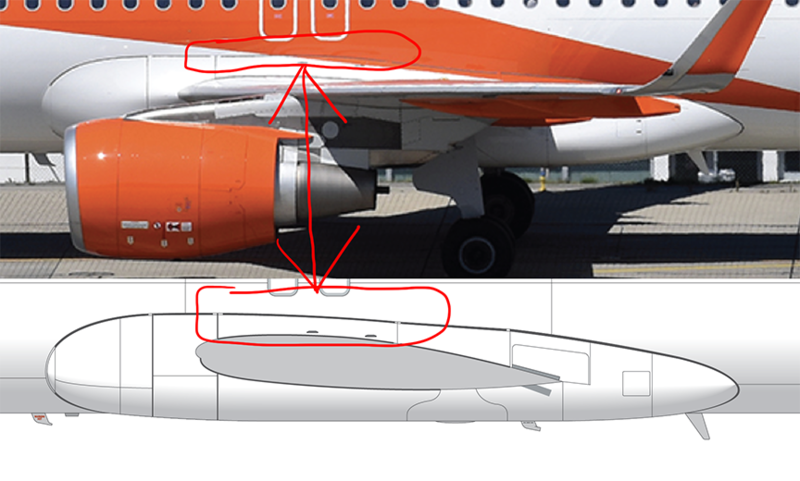 NEOs all have Sharklets, otherwise no external differences from the classic A320 series. You might want to examine pics of the radome, most newer Bus deliveries don�t have raised �static/lightening/whatever deflectors� just a smooth radome. I know the Revell kit has these raised lines, can�t remember about Zvezda. I've got a Zvezda 321 on the workbench, it's got the raised lines. Also, there was a WBF tweak a few years ago, which the neos all have, not sure what the R and Z kits depict, I'm no 320 expert. If you don't mind making it in 1/200 scale , Hasegawa just released it. Great little kit. I have several here in Florida I am playing with. The Revell kit was issued in 1999 so presumably it represents the original fairing. I've never seen the Zvezda kit in the flesh so I can't comment on it. Do you happen to have a photo that shows the tweak?? I need to update my drawings. Have several A320 and A321 Neos from Hasegawa, so far the first and only 1/200 kit ive build, Hasegawa NEOS come with P&Ws BTW, mine was finished in Volaris Markings made by 8adecals. I just wish that someone can do it on 1/144 someday. No, from what I know it happened around 2004-2005, and became build standard. IIRC it's on the top side you might find it just by looking at an early build and a late build to see if you find it. Sorry I can't be more helpful. While on the NEO topic, I need a good set of sharklets in 144, anybody know which are the best? As I said earlier, sharklets are available from PAS Models, either separately or along with engines. BraZ Models also make sharklets. I have both and there is little to choose between them. So this is the only difference I can see. On the earlier ones this segment sloped slightly downward. On later ones it's horizontal. I can't *imagine* that can possibly make any detectable difference in drag. Dave, thanks! I'll look for a set this weekend at the IPMS, else order one, thanks! Jennings, often those small tweaks make a big difference, there's a lot of interference and compressibility drag at the WBF join, it's possible that the new one is thicker or thinner in spots, or has some manufacturing advantage. The WBF is aerodynamically very important. There is another mod available to help with T/O performance that is just ahead of the wing leading edge on the WBF. I can�t quite make it out, it almost just looks thicker? Try googling. FYI, the Rocast goodies are back in stock for those wanting them. I just placed an order. Score, thanks for the update, I just ordered there! im trying to figure out how to reshape the awful cowling bottom. Not sure what you mean by �only reliable option�. I�ve dealt with PAS many times over a long period and found their service 100% reliable. Are you referring to the LEAP undersides? Those have the little bulges there by design, the Pratts don't. Sorry the correct word was "accurate". Ive also used their service, and no bad comments on that side. Everything is here! The A321, the Hawaiian decals and the Rocast goodies showed up yesterday. As soon as the Kululu 737 with Contrails engines is done, I'll move to the Neo. I have been following this thread a while now, as I am really interested in the recipes as how to build an A32XNeo in 144th scale. My question : weren't there some talks that Revell was to release both an A320Neo and A321Neo in 1/144th scale? Rumour/truth? still to come or project rejected? Anybody has information about the 1/144th Neos. Maybe someone closer to Revell might have a better insight but I think this project is dead. Nothing was mentioned in their newsletters anymore. With the bankrupcy of Hobbico (Revell's owners) and subsequent take over by Quantum Capital Partners in 2017 I'm not sure how they are doing at the moment. But I'm still hoping they will do the A32XNEO series, an A350-1000 and A330NEO (well... I can keep dreaming....). A 330-200 would also be nice.